How Often Should I Replace My Air Furnace Filter? 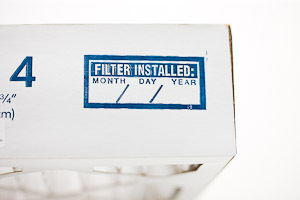 When did you replace your Air Furnace Filter ? Leave a marker by the furnace and write the date on the air furnace filter each time you replace it. Most new filters are white, if yours is dark, grey and you don't see light thru it, replace it. A dirty filter can block the air flow and damage your system. We recommend replacing your air furnace filter or air conditioning filter every 3 months for maximum system efficiency. 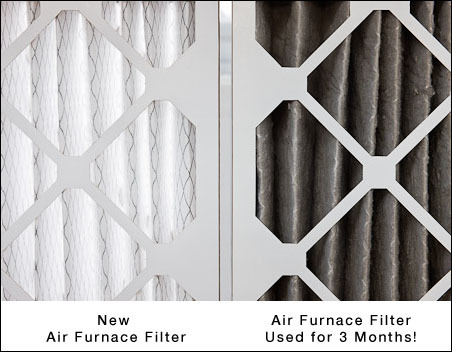 Every seasons, we remind our followers on Twitters to replace there air furnace filter.